Wooden phones are usually expensive, if you think about those Mpingo handsets from Gresso, made out of African Blackwood, but here’s an interesting twist to this story. How about a Maple Phone? 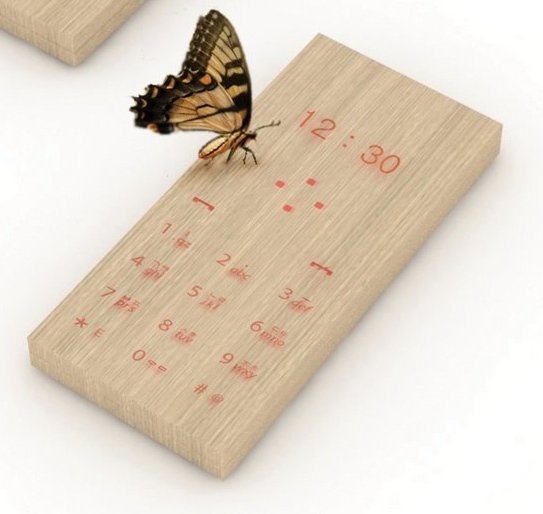 This one’s designed by Hyun Jin Yoon and Eun Hak Lee and it’s a basic camera phone concept, covered in wood. Its touch sensitive keys light up when you touch the device and you’ll see them glittering through the housing. 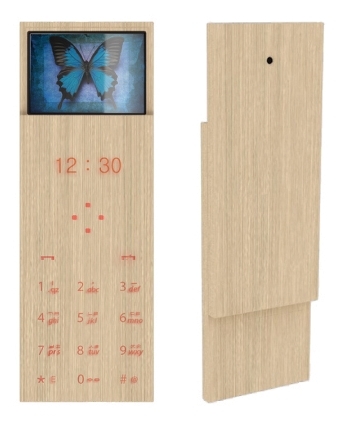 The Maple Phone measures 4.5 x 10.4 x 9.8 cm and it comes with an MP3 player, digital camera and basic functions like calling or texting. What’s interesting is that the display is placed at the back, revealing itself as you slide the handset. Hopefully, we’ll see the Maple Phone going into production and hitting the streets at a more decent price than its luxurious counterparts. You can find more info on this product here.